Jio has revolutionized the mobile telecommunications in India and hence a significant amount of consumer telecom. It has also been gearing up for fiber, that will lead to another disruption, essentially in fixed broadband as well as the home entertainment among other new services. On the other side, the communication services for enterprises are stagnated for many years now. Other than a bit of IP services along with data centre offerings, nothing has really moved for enterprises. This is the reason we don’t find most of the operators earning more than 15% from their enterprise businesses. With 5G around this should more than double, provided telcos partner with potential use case sectors and industries. With 5G, it will not be just being a service provider, but developing and co-delivering the value from the networks to the end users. Hence, more of a co-creativeness. This overall weak connect of telcos with the enterprises in India could be one of the impediments for 5G uptake and they may have to push the services through IT partners who are closer to the industries and enterprises. The scenario within SMBs is further appalling. Being the critical contributors to GDP, economy, employment, wealth creation and every other parameter of measuring the nation’s growth, SMBs have been rather inadequately served by the telcos. Telcos have always been pursing to increase the uptake of telecom as well as other layered digital services to large enterprises. Reason being, telcos have always had the approach of providing the infrastructure and would not actively participate in deriving the value and use cases from the networks. This is where SMBs would lack in skills and hence a thriving telecom business within SMBs never picked up in India. Without SMBs a digital revolution in India is not going to happen. In pre-GST era, around two thirds of SMBs were not digital. Even after GST implementation, digital would cease beyond GST. There is a need as well as opportunity to digitalize the SMBs while enterprises are moving on to the next level of digital transformation. SMBs are ideally a greenfield for all operators in India and even for incumbents they are the emerging ones. However, the segment can be won over by the one who can think disruptive, connect across the country and help building the value. Jio did exactly these three things for consumer telecom. They realized that with just infrastructure deployment they are not going to win, so built a comprehensive layer of content around, started all across the country and did not differentiate between Tier 1 and Tier 3 markets and finally through a bouquet of apps they helped users to see value in the networks. This is exactly what it would take SMBs to go digital in India. Other operators can also win this opportunity of SMBs, provided they also approach in the same way. However, they shall have to implement for the first time, while Jio has already proven the implementation. The other corollary advantage with Jio is that within its RIL umbrella, there would be hundreds and thousands of SMBs that must be serving them. Jio can start the digital story of SMBs from its immediate ecosystem within RIL family and gradually scale to the extended SMB fraternity. Unless a player like Jio or at least with the approach of Jio, doesn’t take up this huge task of bringing SMBs on digital platforms, the SMB segment is not going to see transformation in business outlook and approach. At the same time, India is not going to see SMBs grow into larger enterprises and we shall continue to see the story brewing. 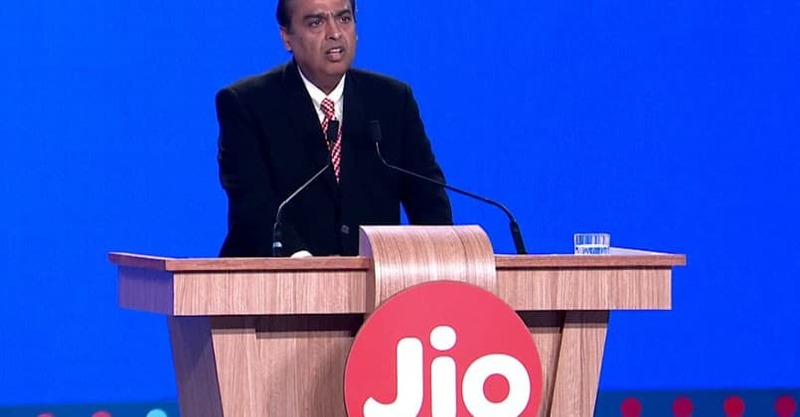 Why Jio Must Pursue Telecom for SMBs? 0 out of 5 based on 0 ratings. 0 user reviews.